The day before the death of Sara Roosevelt, Franklin Roosevelt’s mother, the State Department’s rebuff of Japanese Prime Minister Konoye’s urgent request for a private talk with Roosevelt convinced the Japanese to begin serious plans for an attack on Pearl Harbor. At a cabinet meeting on September 6, 1941, Admiral Isoroku Yamamoto was told to attack unless Konoye somehow achieved peace terms with the United States that would not spark a revolution at home, an uprising in Korea, or the restoration of Chinese morale. Hirohito had been shot at twice, once by a Japanese communist, once by a Korean nationalist. The better men of two cabinets had been murdered or wounded because they were seen as too accommodating to the foreigners who wanted to colonize Japan or reduce the nation that had never lost a war in modern times to a vulnerable third-rate power. Konoye himself had been threatened with assassination if he made too many concessions, and there had been serious attempts to overthrow the emperor in favor of his brother or his son. Hirohito knew that his dynasty itself could be wiped out like the Romanovs or marginalized, as the Japanese themselves had done to the Korean royalty, if he bowed to demands that the Japanese saw as not merely insulting but insane. Yamamoto, who spoke fluent English, had studied at Harvard, and in happier times had hitchhiked across the United States, knew that Japan could not conquer, or even defeat, the United States. The Japanese grand strategy, if war could not be avoided, was to inflict enough damage and seize enough territory that the Americans would guarantee Japanese sovereignty in return for an armistice and restoration of all or most of what Japan had taken outside Korea and perhaps Manchuria. 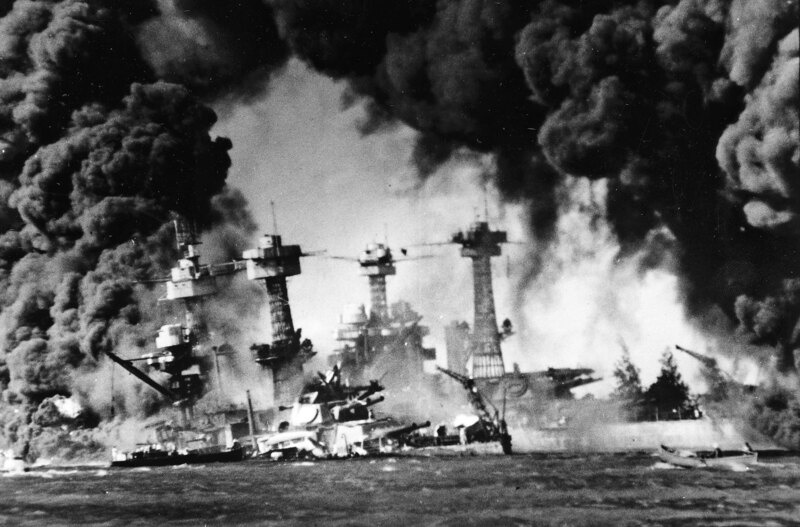 Theoretical plans for a Japanese attack on Pearl Harbor had existed for decades. General Billy Mitchell had warned as early as 1924 that the next war would be fought with aircraft carriers. The U.S. Navy’s Admiral Harry Yarnell conducted a simulated attack by carrier-based aircraft in 1932 as part of a war game. 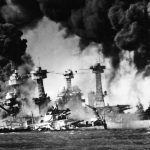 The Navy judges ruled that Pearl Harbor would have sustained substantial damage if the attack had been genuine, and the attackers won the war game. Yamamoto had delivered his updated contingency plan for an attack on Pearl Harbor on January 7, 1941, less than a month after the British aerial torpedo attack on Taranto. Minoru Genda, Japan’s genius of planning, called Yamamoto’s initial plan “difficult but not impossible.” More information was needed. By the summer of 1941, Korean patriots who kept an ear to the wall at the Japanese consulate in Honolulu through Korean servants and loyal Japanese-Americans were picking up rumors of intense Japanese interest in the depth of water in Pearl Harbor and the strengths and weaknesses of Army and Navy installations in Hawaii. Roosevelt’s restriction on Japan’s oil supply shifted Japanese planning into high gear. War was now the only alternative to economic strangulation and political revolution. In 1941, the newly formed Tojo cabinet announced that negotiations with the United States would continue but urged the Americans to be willing to make some concessions. The State Department interpreted this to mean that the Japanese war lords intended to continue their expansionist policies—after Konoye had offered to back out of China and had been rebuffed. Both sides temporized—temporarily. Japan was not ready for a long war; it lacked manpower, oil, iron, aluminum, and food. America, which lagged behind Japan in fighter planes and warships, was also not ready for a war within the next six months. Then, while the Americans were trying to castigate the Japanese war lords for their aggressive posture, an astonishing spread appeared in the October 31 issue of United States News (the predecessor of U.S. News & World Report), showing just how easy it would be for United States B-17 bombers to blow Japan off the map in case of trouble. Japan is today within range of bomber attacks from seven main points. Bases at those points are being kept at wartime strength and readiness by the United States, Britain, China and Russia. In airline miles, distances from the bases to Tokyo are as follows: Unalaska—2,700; Guam—1,575; Cavite, P.I.—1,860; Singapore—3,250; Hongkong—1,825; Chungking—2,000; Vladivostock—440. Comparable figures for flying time from the bases are shown by the Pictogram. These figures are based on the use of a bomber with a flying range of 6,000 miles and an average speed of 250 miles an hour, a type representative of those to be turned out on a large scale for American air forces and for shipment to Britain and China. Principal targets for enemy bombers attacking Japan would be the Tokyo-Yokohama area and the city of Osaka, 240 miles southward. These two areas are the head and the heart of industrial Japan. Tokyo, city of rice-paper and wood houses, is the center of transportation, government and commerce. Only 15 miles away is Yokohama, home base of the Japanese Navy. 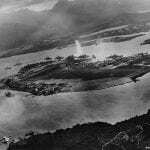 Damage to the repair and supply facilities there would seriously cripple the fleet, Japan’s main striking force. At Osaka is concentrated most of the national munitions industry. Hastily expanded during the last three years, the arms factories are built of wood. Acres upon acres of these wooden buildings in and near the city present a highly vulnerable target for incendiary bombs. This same strategic liability is true of other cities, making it imperative to keep attacking planes at a distance. Use of aircraft carriers by hostile forces would intensify the difficulty of this task for the Japanese Navy and air force. These facts influence the decision of Japan’s leaders today. And the facts are made ever more pointed for them by the spectacle of American-produced bombers, aviation gasoline and supplies flowing into Vladivostok, nearest source of danger to their capital. This article, published on Halloween, was a lurid fantasy. 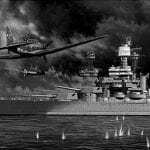 U.S. B-17s did not have the range to reach most of Japan and return to the Philippines, and the desperate Russians battling Hitler at the gates of Moscow and Leningrad had no plans to invite a Japanese attack by allowing Americans to land in Vladivostok. But the Japanese probably did not know that. 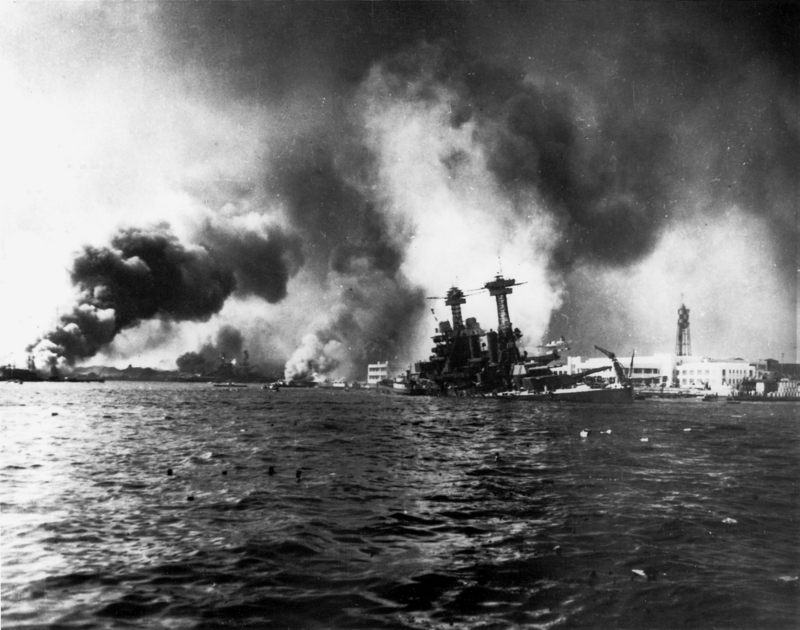 A major U.S. magazine had proposed American incendiary attacks on Japanese cities—five weeks before Pearl Harbor. [T]he dispatch of United States armed forces for intervention in China against Japan is disapproved.
. . . [m]aterial aid to China [should] be accelerated consistent with the needs of Russia, Great Britain, and our own forces.
. . . that aid to the American Volunteer Group (the Flying Tigers) be continued and accelerated to the maximum practicable extent.
. . . that no ultimatum be delivered to Japan. Chiang was told on November 14 not to expect American troops or aircraft. The next day, General Marshall held a confidential press conference where the possibility of bombing Japanese civilians in case of war was once again discussed—this time before reporters who were pledged to silence, though Marshall himself confirmed the interview. Marshall—who may have been the source for the story in United States News—said that America would use the threat of bombing to keep Japanese “fanatics” peaceful, but that the bombings would be carried out in case of war. Even as Marshall spoke, B-17s were being sent to defend the Philippines, if not to prepare for the threatened destruction of Japanese paper cities. These were the same B-17s that Admiral Richardson and Admiral Kimmel had urgently but unsuccessfully requested for long-range reconnaissance around Hawaii to protect Pearl Harbor. On November 15, as Ambassador Grew, the most pro-Japanese diplomat in the State Department, was warning the United States to expect a Japanese surprise attack if negotiations were not concluded, Saburo Kurusu arrived as a special envoy on an emergency visit to Washington. “Daddy” Kurusu, known to Japanese diplomats as a kindly father figure, fluent in English and married to an American, joined Nomura on a visit to the White House two days later. Kurusu told Roosevelt and Hull that the Tojo government continued to hope for peace. Unfortunately, Kurusu was the signer of the Anti-Comintern Pact with Hitler and Mussolini. Hull lectured Kurusu and Nomura about the alliance with Hitler—the alliance that Konoye had indicated Japan would let slide in case Germany attacked the United States. The Japanese listened to Hull’s fantasies about Hitler’s taking over the United States, appalled at his lack of information about Nazi Germany’s actual military potential. The Germans had no four-engine bombers except for a few converted airliners used as long distance patrol planes. Their best battleship, the Bismarck, had been surrounded and sunk by the British in May 1941. The Wehrmacht had failed to cross the twenty-mile-wide English Channel in 1940 despite temporary air supremacy. Did Hull really expect the Germans to take on the British and American Navies at the same time and then ferry troops three thousand miles across the Atlantic when they were already badly over-committed in Russia, North Africa, and the Balkans? A memoradum from Harry Dexter White called for Japanese withdrawl from Indonesia, much of the Southeast Pacific, China, and to allow its internal economy to be highly regulated by Western colonial powers. (As White was a Soviet mole, the memorandum was drafted with the purposes of demanding impossible conditions). When the news of the American ultimatum reached Tokyo, the Japanese were horrified. Foreign Minister Togo tried to resign to avoid the shame of having to negotiate such preposterous terms. The emperor, groping for a way to save his throne and perhaps his life without war, called a meeting of Japan’s former prime ministers. One by one, the weary old men, fearful for their country if not for their own lives, appeared before the emperor to try to find a way to avoid a revolution at home or destruction at the hands of America or Russia. Reijiro Wakatsuki, born in 1866, a lawyer known as “the liar” in a pun on his name, had become prime minister for a second time after his predecessor, Hamaguchi, was critically wounded in an assassination attempt. 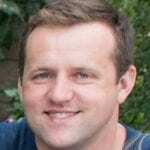 He had unsuccessfully opposed the annexation of Manchuria. His position was that the war with the United States could not be prevented given America’s impossible demands, but that the Japanese should try to end hostilities as quickly as possible. Keisuke Okada, born in 1868, the prime minister who had escaped by hiding in the toilet on February 26, 1936, knew only too well what would happen if the cabinet bowed to the foreigners. He had no answer to America’s demands either. Kiichiro Hiranuma, born in 1867, was a reformer who had made his name prosecuting corrupt monopolies and the politicians who accepted their bribes. A nationalist and an anti-communist, he had resigned in 1939 because he feared that Japan’s developing alliance with Germany would draw his country into an unwanted war with Britain and the United States. Hiranuma also understood that giving up Manchuria under American pressure was political suicide. Koki Hirota, “the man in the ordinary suit,” came next. He asked the cabinet to consider that a diplomatic breakdown might not lead to war. He doubted that America would go to war for the sake of China and said that, in any case, the Japanese should look for a peace settlement as quickly as possible if war broke out. None of these elder statesmen could suggest an offer to the United States that might ameliorate its drastic and startling demands. They were baffled by a once-friendly country that had, until recently, been selling them not only oil and scrap iron but military training aircraft and spare parts. Roosevelt, for whatever reason, seemed to have lost all interest in avoiding war in the Pacific and had left Hull, Hornbeck, and White minding the store.